(PJ Media) – Former Canadian Prime Minister Stephen Harper declared the boycott, divestment and sanctions movement against Israel to be anti-Semitism for the new generation as Vice President Mike Pence assured activists at the American Israel Public Affairs Committee annual conference this evening that the U.S.-Israel relationship will be “even stronger and reach even greater heights” under the Trump administration. 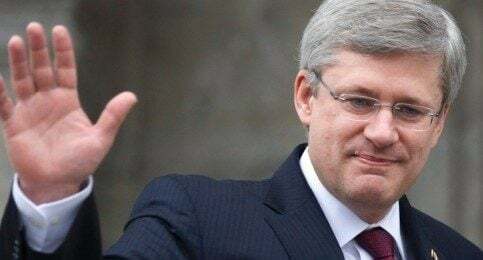 Harper, who served as prime minister for nearly a decade until Justin Trudeau’s Liberal Party defeated the Conservatives in 2015, was in 2014 the first Canadian prime minister to address the Knesset. So western nations have the choice of supporting Israel, “or we watch those threats come daily to our own shores,” he added. He called it “outrageous” that Israel tops the HRC’s agenda, as the Jewish state is “one of the freest nations in the world by any standard.” Meanwhile, the prime minister added, there’s “virtual hero worship” of the Palestinian Authority at the UN. Harper said he doesn’t see the UN changing anytime soon, but that’s not an excuse for America and Canada not standing up for the right principles there. Asked about the greatest dangers faced by Israel, Harper noted Iran and terrorist groups, emphasizing that a Jewish state “surrounded by ungoverned spaces” would be particularly perilous, but the “most serious threat” is actually one found on college campuses across North America and beyond. Most of the vice president’s address was focused on Trump, telling the activists that the president wanted to “pay a debt of gratitude” to the pro-Israel lobby for his election. “President Trump and I stand without apology for Israel and we always will,” he said. Pence said tonight that the president is “giving serious consideration” to moving the embassy to Jerusalem.